As most of you know, my hubby is a carpenter, and while I have zero carpentry skills, I can attempt to help a tiny bit so he can focus on the important things. Yesterday, as I was busy sanding some cabinet doors for him over in my little corner of that big warehouse, I kept seeing this pesky fluorescent light directly above me constantly blinking on and off. Off. On. Buzz, buzz. For several days, actually for several weeks, it's been mocking me. I'll be working away, my work station all lit up and my aging eyes enjoying the extra help. Then boom--without warning, I can't see what I'm doing. It really makes me crazy! The humming of the ballast in the unit certainly reveals a deeper problem--even if the light bulbs are changed and the ballast is neglected, the problem will not be fixed. 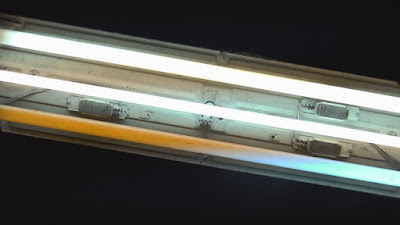 New light bulbs in dying ballasts will only be a temporary repair. The entire ballast and bulb must be replaced, and because that is not a 5-minute repair, it hasn't been done yet and the light is still flickering and still annoying me. But as God loves to do with the commonplace things in my life, He reminded me of the metaphor that flickering light offers. I can find myself ignoring the humming of the Holy Spirit's voice in my daily life and I can push aside His call on my heart. Christians can change our clothes, our hair, our home, our church, but none of that will change the final outcome if we don't change from the inside out. If we ignore the flickering long enough without giving attention to His call, or without obedience and prayers, we will no longer shine--no matter how many outward things we do or say to try to make it seem okay. Our lights will only shine with its fullest capacity when we look to His example and allow His voice to be the foundation of our earthly missions. Change that ballast! Let your light shine! ©2017-2018 Coffee, Cobwebs, and Curriculum. All rights reserved. 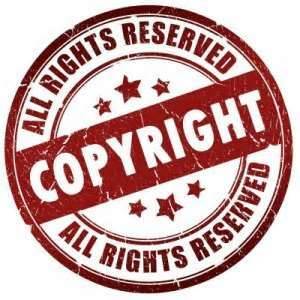 All text, photographs, artwork, and other content may not be reproduced or transmitted in any form without the written consent of the author. www.coffeecobwebsandcurriculum.blogspot.com Follow me on Facebook or Twitter! Links can be found in the right sidebar on this blog!